Reiki is a healing approach that uses light touch from the practitioner to channel healing energy to the recipient. 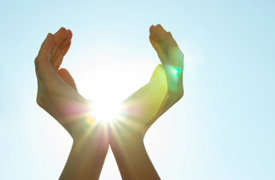 Reiki is a healing approach that uses light touch from the practitioner to channel healing energy to the recipient. Traditionally it has been used as a very gentle yet effective way to relieve physical and emotional pain and to promote spiritual clarity. Craniosacral therapy (CST) involves light holding of the skull and sacrum and barely detectable movements. Craniosacral therapy (CST) involves light holding of the skull and sacrum and barely detectable movements. Craniosacral therapy is so gentle and slight that it is the best example of the so-called “subtle” therapies, which claim to achieve profound health benefits with minor and safe interventions. Practitioners believe that the tiny manipulations of CST influence the pressure and circulatory rhythm of cerebrospinal fluid, the fluid that surrounds and cushions the brain and spinal cord. Prenatal massage shares many of the goals of classic massage therapy. Buzek Chiropractic Clinic utilizes Massage Therapy to compliment your Chiropractic care. By allowing your muscles to relax through Massage Therapy, you will improve your Chiropractic results and speed up the recovery process. Registered Massage Therapy is covered by most extended health benefit plans, although some plans may require you to get a doctor’s note. Prenatal massage shares many of the goals of classic massage therapy – to relax tense muscles, ease sore spots, improve circulation and mobility, and just make you feel good. But it’s also tailored specifically to the needs of pregnant women and their changing bodies, and therapists who are trained in prenatal massage adjust their techniques accordingly. Tranquil relaxation and reduction of stress. Provides support for the new mother experiencing the physical and emotional strains of mothering. Hot Stone Massage is therapeutic and has deep relaxing benefits. This wonderful massage therapy has its roots far back as the ancient world. Today, hot stone massage is becoming widely known for its therapeutic and deep relaxing benefits. The technique involves placing water-heated smooth stones of various sizes on key points on the body. The resulting deep massage and sensation of warmth and comfort is not to be missed. The hot stone experience can relieve pain; promote harmony and balance within the body. The addition of aromatherapy and soft music to this therapy has an amazing effect on mood and heightens feelings of well-being. This massage technique is also used on other areas of the body including the hands. Your reflexology therapist can read your hands and feet like a map and understands which pressure points can impact the other parts of your body. Through soft pressure, your therapist can relieve stress and increase your health in many parts of your body, not just your hands or feet. Ensuring that you see a Registered Massage Therapist (or RMT) is imperative in the treatment of the above discomforts. A Registered Massage Therapist is trained in a variety of techniques in order to treat these symptoms effectively. If you’re suffering from neck pain, back pain, knee pain or a whole host of other conditions, an RMT is a knowledgeable and effective resource for treatment. An RMT can help you identify the cause of an injury and take an active role in your treatment and recovery. An RMT is trained in a number of different areas, including anatomy, physiology, pathology, neurology and much more. In fact, in Ontario, an RMT must complete a minimum of 150 clinical hours and successfully completed examinations in accordance with the law. Which means when you see an RMT, you know you’re seeing someone with the experience and education to help treat your particular health issue. Most extended health care benefits plans cover the cost of massage therapy, although some plans may require you obtain a doctor’s note. Be sure to check with the massage therapist to ensure he or she is registered and you can submit the invoices to your benefits provider. Contact our office today if you are interested in booking a massage appointment or learning more!